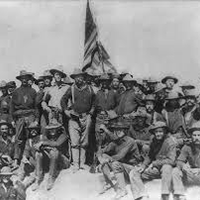 On April 25, 1898, the United States declared war with Spain. The war followed a Cuban insurrection against Spanish rule and the sinking of the U.S.S. Maine in the harbor at Havana.